Collage's third album finds the album playing in a distinctive style which is more unique to them than the heavily Marillion-inspired approach of their debut, though occasionally aspects of early Marillion or 1990s Pendragon pop up here and there. 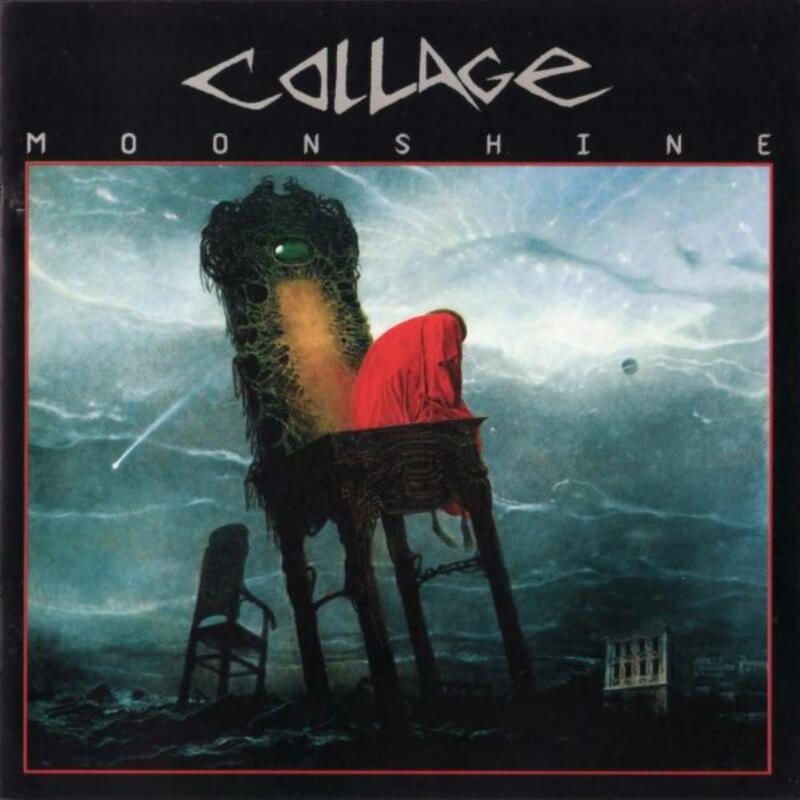 The Collage sound as of Moonshine is sweeping, dramatic, and at times (as on the opening number Heroes Cry) thunderous, with keyboards, lead guitar and vocals all uniting to create a particularly emotive and passionate work. At points the production seems to stumble a little; there are parts where the synths sound a little cheap and dated and the drum sound is a bit thin, but just when my attention begins to drift the album turns around and enthralls me yet again. I think Basnie is a somewhat more well-executed work myself, but Moonshine is a little more original so the two complement each other nicely.